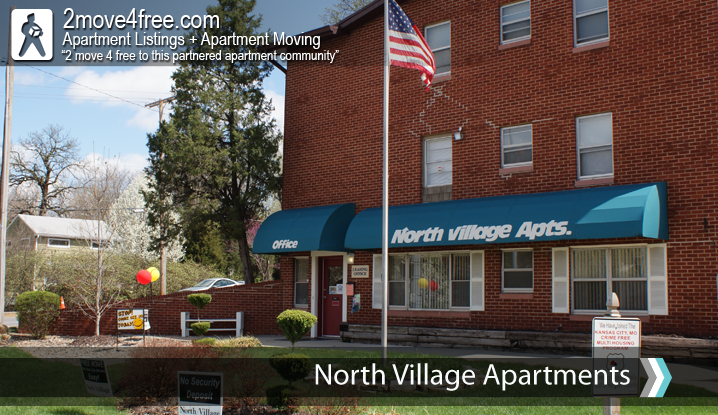 North Village Apartments ~ 4763 N HIGHLAND ~ KANSAS CITY MO 64116. Spacious floor plans...Close to I-29 and I-35...On bus line! 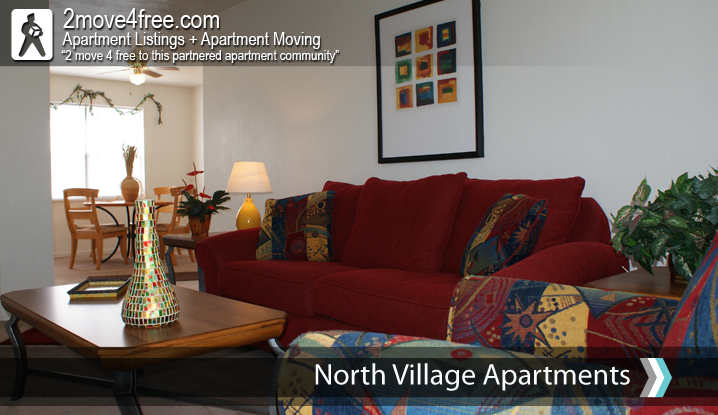 North Village presents the ultimate in apartment living, a beautifully landscaped community set in a peaceful environment, yet just minutes from city shopping, entertainment and services. We look forward to hearing from you in the near future! Our brick and cedar one and two bedroom apartments feature an abundance of windows, including one in the kitchen, for a light airy feeling. Our floorplans were designed with you in mind offering flexibility for your creativity. Enjoy the North Village lifestyle which offers an attractive, serene, residential environment close to the major metropolitian activities you desire. Come by today and see how you get 2move4free. No truck to rent, no gas to buy, no friends or family members to bother as well as no movers to pay! 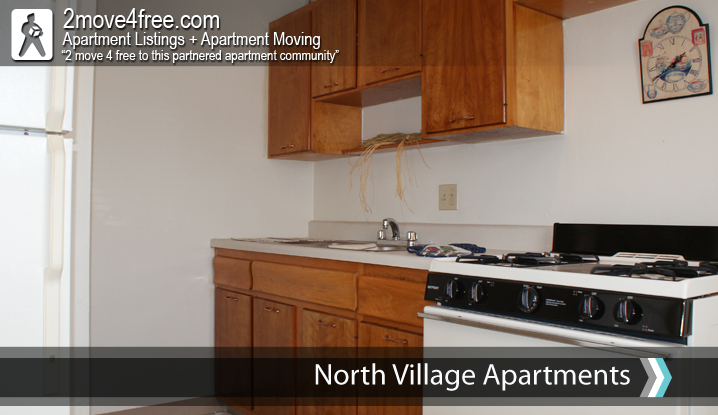 At North Village apartments we have your needs and desires in mind. We pay the movers to get you here.